Magnesium is needed by the body in order for every cell to function correctly but today’s intense food farming methods mean that the earth is deplete from this much needed mineral. Even though we may eat our daily quota of fruit & vegetables our intake could still be inadequate. 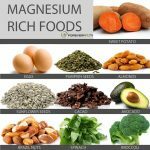 Outward symptoms of magnesium deficiency can include anxiety, restless leg syndrome, sleep disorders, nausea, muscle spasm/weakness/pain/cramps, fatigue, dizziness, poor memory and gastrointestinal issues. 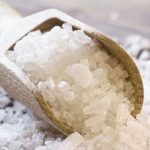 This can be remedied fast in some people using either a magnesium citrate supplement, or by bathing in magnesium rich salts a few times per week. 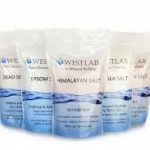 I personally use and recommend Westlab brand of Dead Sea, Pink Himalayan or Epsom salts that I purchase from Home Bargains in Shrewsbury, measure out a few big handfuls into a warm bath alongside a few drops of pure lavender and a cup of milk to disperse the oil into the water. It’s a great way for those with sore muscles, especially after a massage treatment from me in the days after to reduce their discomfort.